“A little while ago we bought a set of voting buttons for our computer system. I loved the instant feedback I could get from the quick formative assessment quizzes I could run – testing out the learners’ understanding on the fly. But then the company we bought from introduced me to the computer version of the Blockbusters game – it’s fantastic! It comes as a complete package to help you build your own vocational version of the TV quiz show. ‘ Exams’, ‘tests’, ‘assessments’ – not the sort of terms that make learners relax and not the sorts of activities that most people look forward to. But Errol and his team found that the on-going task of measuring the impact of their training could actually be quite a lot of fun if they stopped doing what they’d always done and tried something new. 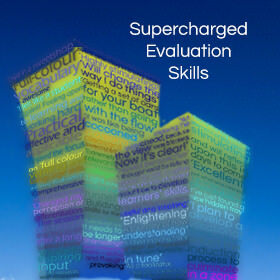 For Errol and his team, this was assessment – initial, formative and summative. Step 1: Write 20 questions and their corresponding answers on your chosen subject. 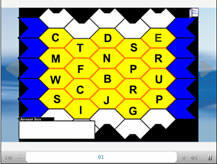 Step 2: Take the first letter of each answer and transfer to the Blockbusters game grid. Step 3: Add the questions to the corresponding grid letter. Errol uses the game during induction as an ice-breaker activity – helping to build the group dynamic while also getting a strong sense of what individuals already know. At the end of each theory workshop, Errol tests his learners’ new knowledge. But rather than just finding out what the students know, the game engages each team in a debate to work through possible answers before deciding on which one to submit. This enables those learners who did not know the answer to contribute, or at least hear the debate, so giving them an extra chance at learning the key points being tested in a risk-free environment. Finally, Errol also uses the game at the end of a unit of study to help assess the distance his learners have travelled and the effectiveness of his teaching. highly innovative use of ILT to support teaching and learning in motor vehicle lessons. “A real eye-opener. I will be using this next year and feel more ready to set it up now."